Mealybugs also love the comfort of a nice warm glasshouse or conservatory. As with all sap suckers, they can spread diseases and generally reduce the health of the plant - that sap is there for a good reason ! They are also very good at producing Honeydew. I don’t mind honest dirt, but I hate sticky fingers ! One really annoying thing about mealybugs is that they do not fly, or walk very much either. Therefore the only way they got into the greenhouse is because I brought them in. How annoying is that !! However, our Australian cousins have the answer. Now I really don’t know why, but this name always makes me think it belongs to a particularly villianous Harry Potter character. However to us this little ladybird is no villain. Although very shy, hiding in any nook or crevice, this little bug will start to make real inroads in the mealybug population after a few weeks. 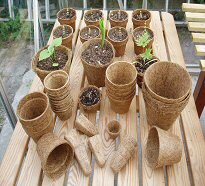 Also, if your greenhouse or conservatory is heated, they will happily breed. 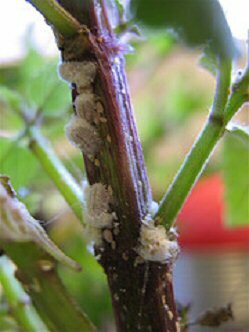 So your greenhouse will be totally off limits to mealybugs in the future too. 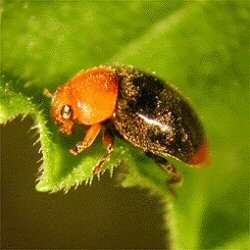 We supply a tube of 10 ladybirds or their larvae. 25 ladybirds or their larvae. Incidentally please, please be careful about this little ladybirds larvae - they look like fat mealy bugs ! Have a good look at the larvae when the family arrives - mealy bugs tend towards pinkness whereas the ladybirds are white with a yellowish, greyish belly. However, Nature often has several ways of sorting out a problem. Our ladybirds can sort out all types of mealybugs, but how about some more aerial back up ? Well, we have some more little wasps. Leptomastix dactylopii , looks quite sweet really,but a mealybug to them is more like an ante-natal ward and an infants fast food joint ! 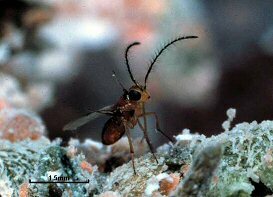 These bugs don’t need males at all to produce around 600 eggs a time. Growing up quickly enough to do it 5 - 6 times a year. 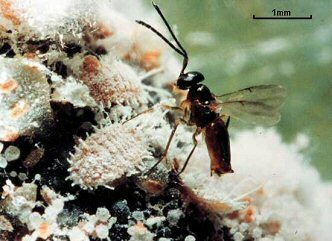 The little wasp above lives quite happily with an even smaller creature of similar habits Anagyrus pseudococci. As well as the citrus mealybug, this tiny, tiny little creature quite likes using the glasshouse mealybug(Pseudococcus viburni ) as a nursery too. 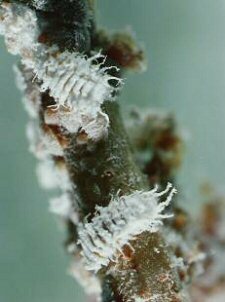 This glasshouse mealybug (Pseudococcus viburni) is also known as the ‘obscure’ - but not to Leptomastix epona. Along with the other little wasps, it is really good at searching any mealybugs which our Ladybirds may overlook. 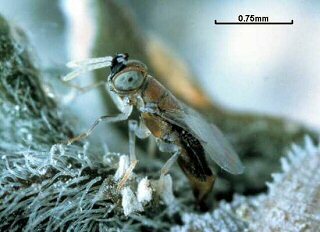 Our Cryptolaemus really get stuck in to heavy infestations, but all these nippy little wasps keep on patrol for the isolated mealybug they may miss. A sort of mopping up operation after the heavy mobs been in ! If you have a nice warm and bright greenhouse or conservatory, I really recommend you follow up your Cryptolaemus introduction with a selection of these tiny wasps. As always, although they are so easy to introduce, full instructions will be included. Tube of 10 Ladybirds plus 50 assorted little Wasps.